Iridescent "Rainbow Fish" Guitar Pick Stud Earrings! "Rainbow Fish" design--of course inspired by the book The Rainbow Fish. 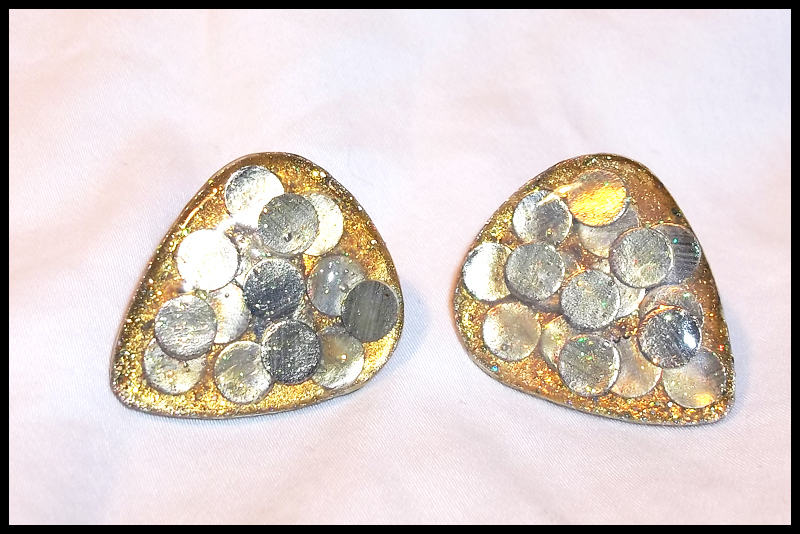 I made silver picks with layered shiny material to emulate scales. These stud earrings shine in many colors!